Fans attending the first home game of the Saskatchewan Roughriders will notice some changes at Mosaic Stadium in Regina. The Riders have enjoyed a string of sell-out crowds and hope to continue that with even more seats, following a $14 million renovation that is underway, and will be fully complete in 2013 when the club hosts the Grey Cup championship game. 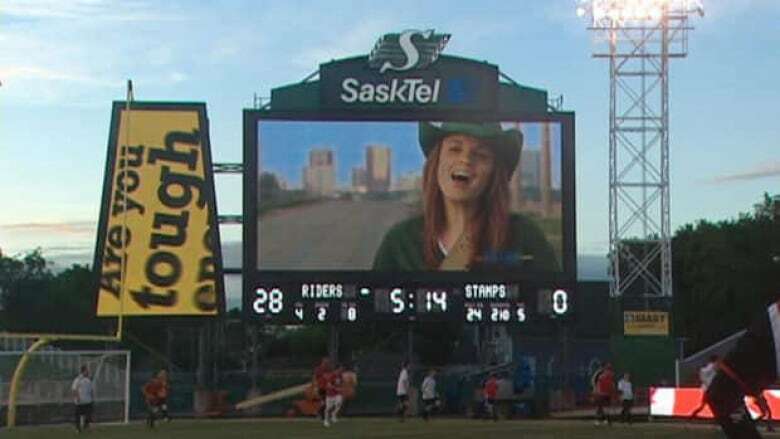 The Saskatchewan Roughriders play their first 2012 home game Friday, in a pre-season match against the Calgary Stampeders. A new end zone screen is more than double the size of the previous board, measuring about 157 square metres. There is also a large secondary video screen near the board, in the shape of the province. Four new video displays around the stadium feature content in a streaming banner or ribbon format.